$37.2 Billion! That’s how much holiday shoppers spent online last season. And the 2012 holiday season kicks off in 11 weeks! Is your website ready? This holiday SEO blog series will help you create an organic search strategy so you can leverage SEO to boost your online sales this season. We’ve all read the studies on how to effectively use PPC advertising during the holiday season to increase your online sales. But what if you don’t have a big PPC budget? What can you do to increase sales on your website this holiday season beyond having a well-executed PPC strategy? Fortunately, a well-executed SEO strategy can help get your website ranking high in the search engine results, and boost your online holiday sales too. And without having to pay each time a visitor comes to your site! Even if you have a holiday PPC campaign, you can increase your quality scores and reduce your cost per click by ensuring that your landing pages are well-optimized and performing organically. Focus Your Holiday SEO Efforts: There’s no way you can rank #1 for every product you sell and every variation of it. But by focusing on a few key categories you’ll be able to develop and manage an effective holiday SEO campaign for the products that are most likely to sell this season and improve your bottom line. Be sure to focus on your priority items, such as your top sellers, products with the highest profit margin, or items you know would make a good gift. Optimize for Gift-Related Terms: To accomplish this, I highly recommend that you create gift sets or gift baskets of related items, and create new pages for these holiday offerings so you can optimize them for gift-related terms. These new “gift” pages will be exactly what busy shoppers hope to find to make their online shopping easy. These new holiday-related pages will also help you achieve visibility for key gift items without interfering with any search rankings you’ve achieved for your current product pages. Don’t Forget About Gift Cards! : When you select your holiday gifts, don’t underestimate the power of a gift card to help boost your holiday sales, especially at the end of the season. In fact, Giftango reported that one in four digital gift cards(26.7%) are sold between Dec. 21st and Dec. 24th — that’s great news if you’re getting a late start to your holiday SEO! 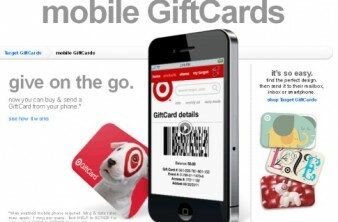 Today, many major retailers offer e-gift cards that can be sent via email, mobile device, or even via social media sites. Be sure to include gift cards in your holiday gift line-up this year. 1. Brainstorm a list of the possible names for your gift sets. Be sure your list includes branded terms and unbranded terms (like, “Ipswich Ale gift basket” and “beer gift basket”), as well as terms mentioning your target demographic (like, “beer gift sets for men”), and your location if you plan on more local customers (like, “MA beer brewery tour gifts”). 2. Use the Google AdWords Keyword Tool to research the search volume for the various terms you are considering, and to discover new related suggestions. Be sure to have your Match Type set to [Exact], and set your language, location, and category for the most accurate results. 3. Use Google Insights to compare the search trends for the top terms you are considering. This tool is great for helping you discover “rising searches” related to the search terms you enter, and for identifying seasonal spikes and regional search volume (states and cities). 4. Choose your final list of holiday product terms. Pick one or two closely related keyphrases for each product or gift basket you are offering. Attempting to target all the variations won’t work, so pick the keyphrases you feel best describe your products and have the highest search volume in the regions you are trying to target. If you pick terms that are too broad and begin ranking for those terms, shoppers will just bounce from your site before making a purchase because your offerings won’t match their needs. Your homework for this initial phase is to pick you best possible "gift set" or gift products, and define your targeted holiday keyphrase list and landing page strategy. In upcoming posts for this holiday SEO series, I’ll give you tips for user experience optimization, product page optimization, holiday linking strategies, and more! Be sure to watch for Part 2, along with the handy Ecommerce SEO Checklist for the holidays at the end of this blog series, and get started on your holiday SEO strategy ASAP! Did you have any tips for keyphrase research for the holidays? Share your holiday SEO tips, stories, or questions in the comments below! This content originally appeared on the CatalystSearchMarketing.com blog. This was the first post of a six part blog series I wrote for the company about eCommerce SEO for the Holidays.